The brand worked with VMLY&R for the awesome crossover of creativity and technology. New Balance has found a way to win over London with the two things Brits hold dearest to their hearts: pubs and pints. 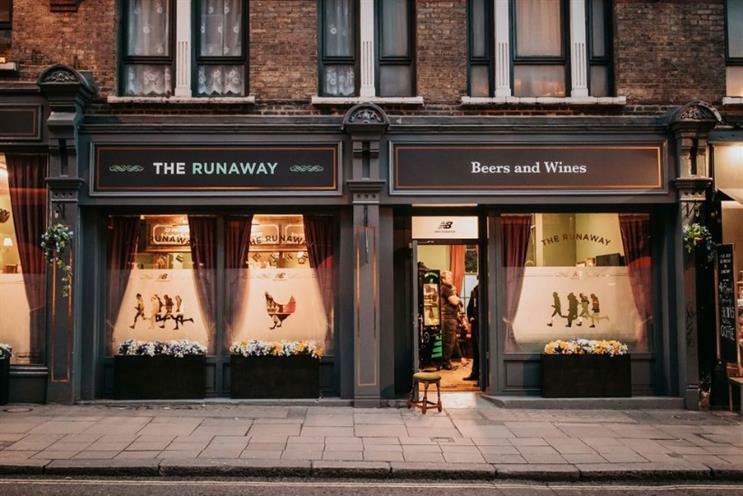 The retailer, which is headquartered in Boston, U.S., has launched The Runaway -- a pub based in the capital city where runners can cash in miles for beer. It teamed up with VMLY&R to tap into U.K. culture where runners often get together and celebrate their training with a (somewhat counterproductive) few pints. "I love the Runaway pub because it is the opposite of interruption marketing," said Jason Xenopoulos, VMLY&R CEO, New York and CCO, North America. "It is a connected brand experience that people are actively drawn to because it adds real value to their lives. 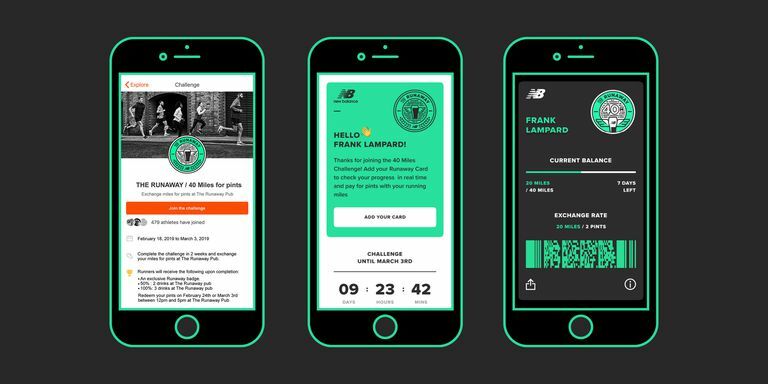 It rewards runners for their efforts in a relevant and surprising way and brings the brand’s fearlessly independent ethos to life. It brings together creativity, technology and culture to ensure that New Balance truly lives in people’s lives." Runners’ miles are recorded through fitness network Strava, then are tallied and converted to currency using a "Runaway Card" that they add to their Apple and Google Wallet Passes. Runners use these miles – the only currency accepted at the pub -- to pay for pints via their mobile wallet. The number of miles needed for a pint is determined by four challenges, with each challenge centered around marathon training milestones. Complete with a fully stocked bar and dartboard upstairs, The Runaway offers a cozy pub setting for runners to relax and socialize. It’s even kitted out with gym and weights area to stretch and workout. Samantha Matthews, senior marketing manager at New Balance UK and Ireland, said: "We’re excited to open our very first New Balance pub and look forward to welcoming runners to the bar to exchange their miles for pints. "The Runaway pub brings our Everybody’s Race campaign to life and aims to empower runners throughout their weeks of training, offering an escape and reward when needed and a hub for the running community to come together and support each other."